Every woman wants to have a strong and beautiful nails. Yet, hands are one of the most beautiful trump every woman and should be beautiful, soft with a tidy nails. However, many women still think that should be given a lot of money on valuable products or treatments that sometimes have no effect. The most important thing that nails are healthy and well painted, do not have to be long, short nails can also look feminine and beautiful. Also, many women avoid using usual nail polish, because their durability is short. 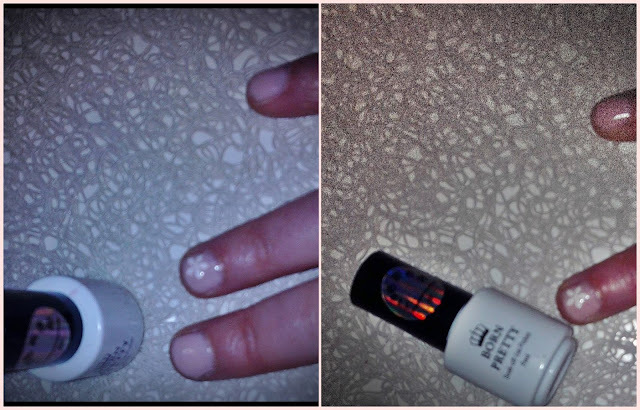 Thus I present to you a long-lasting gel nail polish. It is BornPretty UV Gel from NurBesten.de. The use of gel nail polish is relatively simple. It is applied by simple brush strokes to properly prepared nail plate. Gel nail polish very easily merges with the surface of the natural nail and therefore prevents cracking, scrolling or peeling paint on nails. Professional applied gel polish will last up to 15-20 days. For those 15-20 days nails do not change the shape and color of paint remains constant as the first day. Let your nails are beautiful with NurBesten.de.